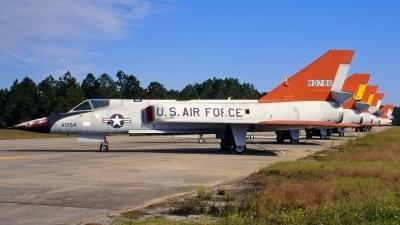 Ex-82nd ATRS, 475th WEG Delta Dart Drones awaiting disposal following the end of the QF-106 program. 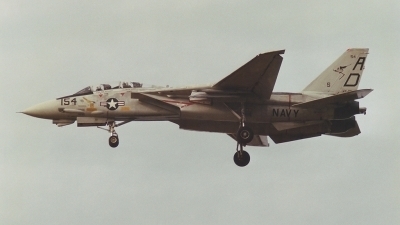 An F-14A Tomcat from the approach at Ocean in late 1988. 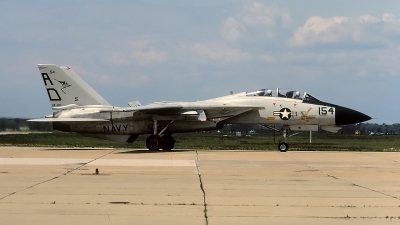 She was operated by VF-101 'Grim Reapers' which was the East Coast F-14 community RAG squadron. A nice 'mid vis' paint scheme!